The data indicates that dental fluorosis—damage to the teeth from fluoride, ranging from lacy white markings or spots on the enamel to staining and pitting of the tooth surface—happens when fluoride levels are too high. Water is only one of several sources of fluoride. Other common sources include dental products such as toothpaste and mouth rinses, prescription fluoride supplements, fluoride applied by dental professionals, and exposure through our food, which is often sprayed with fluoride-based pesticides. Today the fluoride in your water mostly comes from the phosphate fertilizer industry—but it’s still toxic waste, containing other byproducts such as arsenic, lead, cadmium, and mercury. And two studies show that fluoride increases the accumulation of lead in bone, teeth, and other calcium-rich tissues, transporting heavy metals into areas of your body they normally would not be able to go—like your brain. Another study revealed that prolonged, high intake of fluoride can increase the risk of brittle bones, fractures, and crippling bone abnormalities. Longtime readers may recall our 2008 article on the effects of fluoride on teeth and bones (harming kidney patients worst of all); we also noted that fluoride is a known neurotoxin, and can have detrimental effects on the thyroid, which could affect intelligence. Moreover, fluoride can combine with other chemicals in the water to make them even more harmful. 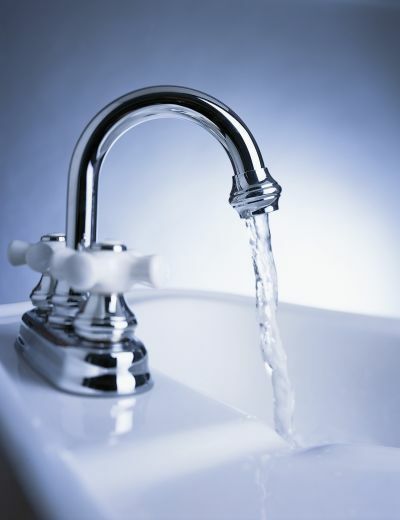 For example, when chloramines combine with the fluoride in water, they work together to extract lead from old plumbing systems, which leads to the accumulation of lead in the water supply. EPA and HHS now recommend the level of fluoride in drinking water to be set “at the lowest end of the current optimal range”—that is, no more than 0.7 milligrams of fluoride per liter of water instead of the current recommended range which goes as high as 1.2 milligrams. Despite studies so compelling that the federal government has started back-pedaling, the states of New Jersey and Vermont are attempting to mandate the fluoridation of water supply. Unfortunately, the New Jersey bill is very close to being passed. By contrast, Illinois and New Hampshire have introduced bills to prohibit fluoride in drinking water. In New Jersey, both S959 in the Senate and A1811 in the Assembly are on red alert—they have been reported out of committee and are already on the floor, so they can be voted upon at any time. These bills mandate the fluoridation of water. At minimum, this is a freedom of choice issue—citizens should be able to choose whether they want to ingest fluoride or not. Write your legislators and ask them to oppose these bills—take action now! In Vermont, H615 (currently in the Health Care Committee) contains many provisions to do with oral care—so we are specifically opposing section 108a, which mandates fluoridation of water. It requires that any municipality, government agency, or other entity that owns or controls a water system shall maintain fluoride in the water supply. Write your representative and request an amendment to strike out that part of the bill—take action now! In New Hampshire: HB1529 would amend current law to say, “No fluoride, nor any chemical containing fluoride, shall be introduced into the public water supply,” as well as other specific provisions against the the use of herbicides within ten miles upgradient (that is, uphill) from a water intake of a domestic water supply. Write your representative and express your strong support for this bill—take action now! In Illinois: HB5383 would do one thing: repeal the current fluoridation mandate. The bill is now in the Environmental Health Committee. Write your representative and express your strong support for this bill—take action now!